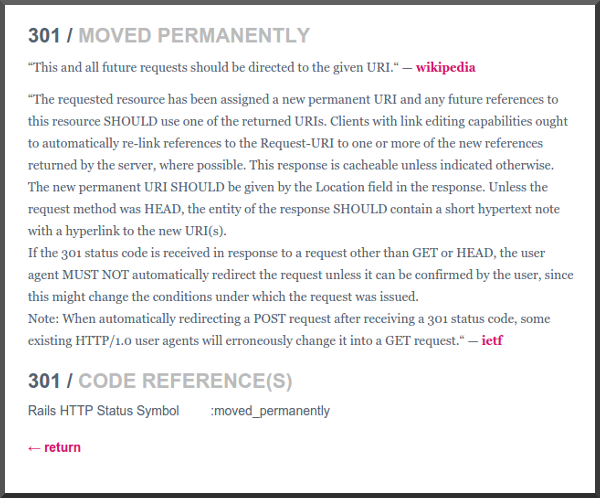 I found two useful websites the other day while cleaning up some code that deals with various HTTP responses and status codes. 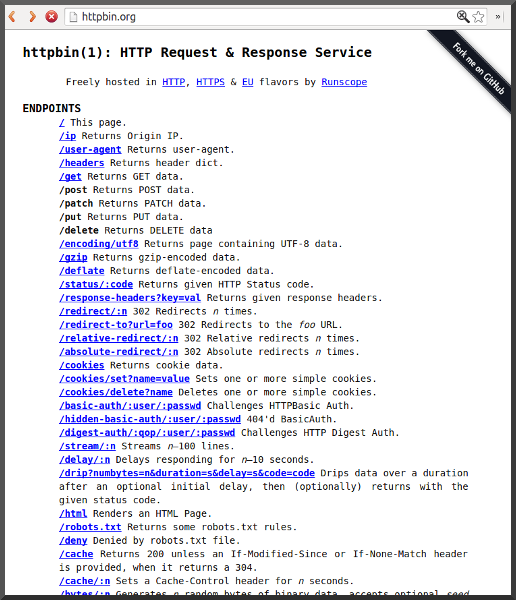 The second site is the HTTP Client Testing Service, or httpbin. 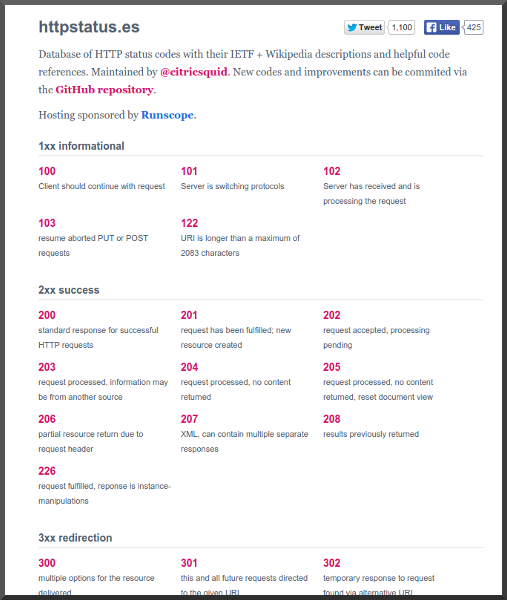 The httpbin site provides endpoints that return all of the various HTTP status codes as well as particular content type responses. Both websites have an accompanying github repository (you can find links on the sites themselves) if you would like to contribute or see the source code. I have been using dailymile as my fitness training log since 2010. I have now logged over 1500 entries and 6600 miles total. I don't want to lose that information. I would like to be able to do more advanced anlalytics on my personal fitness data than the dailymile web app provides. The built-in dailymile.com export feature is abysmal. The file generated includes only a small number of fields (date, activity_type, distance, time, felt, elevation_gain). Seriously, they include elevation gain but do not include the name of the workout or the description? Because of these limitations, I contacted dailymile support. The response was something along the lines of "you could always write your own tool using the API." So I did. username The dailymile.com username of the account to export. -d, --debug Enable debug level logging. -g, --gear Retrieve gear data also. Linode is an outstanding VPS provider. I have been a happy Linode customer since 2010 (over five years). During that time, Linode has provided many free upgrades (more memory, more disk space, ...). 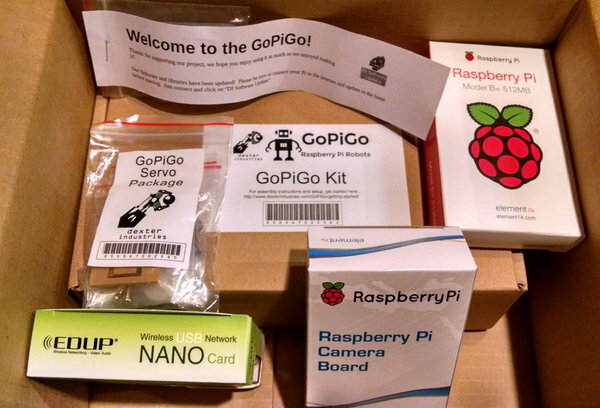 I recently received a package from another successfully funded Kickstarter project, the GoPiGo, a Raspberry Pi robot.The Kickstarter campaign raised $56k compared to their $7,600 goal. My package included the robot kit, a bunch of accessories, and an actual Raspberry Pi Model B+. The SD card comes loaded with the Raspbian for Robots Operating System. Now there are two Raspberry Pis in our house. Time for some fun! For more info visit GoPiGo by Dexter Industries. Last week I received our Kano Computer Kit, the "computer anyone can make". I have not backed very many Kickstarter projects and I am just so happy that this one made it. The result is a fully-polished, professional quality computer kit... for kids. My daughter (10 years old, 5th grade) said over and over again "this is so much fun!" On the first day she spent about 4 hours playing around with the various coding environments. In particular, she liked the "Make Pong" environment where she worked through the exercises and made all kinds of interesting variations on the game (changing the ball size and color and the actions that happened when the ball hit the paddles). 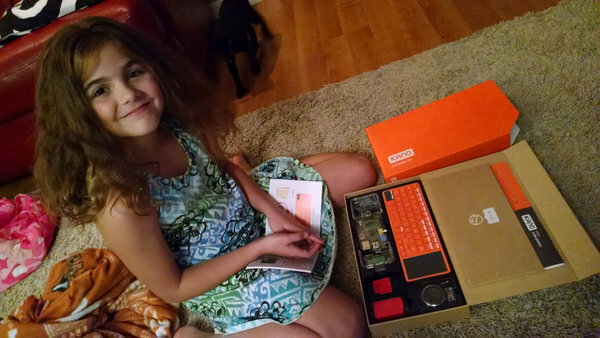 The initial unboxing, assembling, and software setup of the Kano was straightforward and I only had to give my daughter a tiny bit of guidance here and there. For example, it took some care to get the Raspberry Pi board out of its safe and secure packaging. But for the most part, she read the guide and read the screen and followed the instructions and enjoyed the whole experience. The process was kind of nostalgic for me. The pong game reminded me of the Pong console game we received one Christmas when I was a kid. I remember the few times in my childhood when my dad brought home a new computer and unboxed it and hooked it up to the TV and we all spent hours fooling around with it. In fact, I almost think my dad (now a grandpa who pretends not to know anything about computers) would enjoy having a Kano to play with. Team Kano received $1.5 million in their Kickstarter campaign, compared to their original goal of $100,000. One of the backer perks is that my name is included in the Credits file that is shipped out to the world on each little Kano computer. For more info or to order a Kano Computer Kit for yourself, visit the Kano Computer Kit web site. 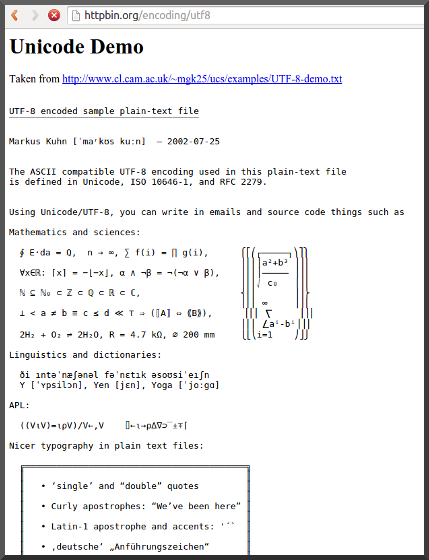 thatlinuxbox.com is the home of Dan Stoner's Personal Blog, Photos, and More (opinions, rants, techno-babble, and possibly a few useful tidbits of knowledge). Questions or Comments about this site? Contact danstoner _ at _ gmail.com. Visit Dan Stoner's profile on Pinterest. If you like something that you find on this site, please consider making a purchase through one of the links below or sending me an item from my Amazon Wish List. If you can't speak for yourself, your Road ID will. 10% Off and Free Shipping!